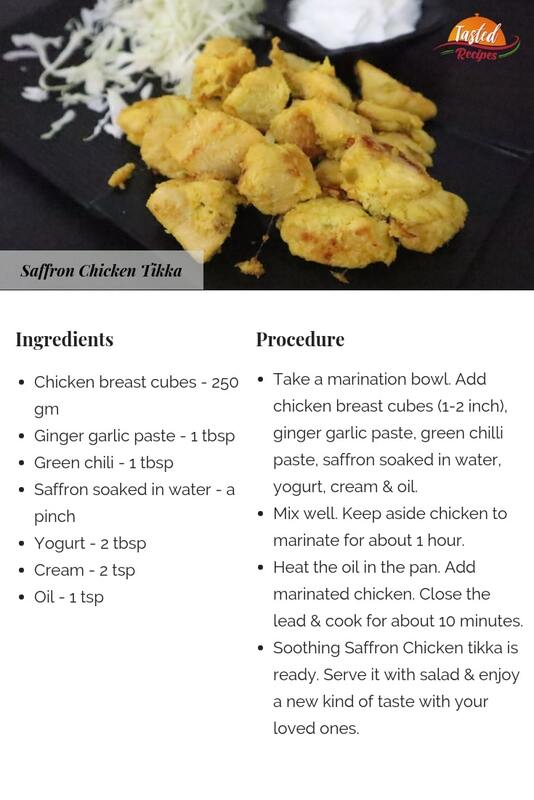 Saffron chicken tikka is a unique recipe in taste. The tikkas are just so perfect & tender cooked in soaked saffron and the fascinating aroma of saffron. 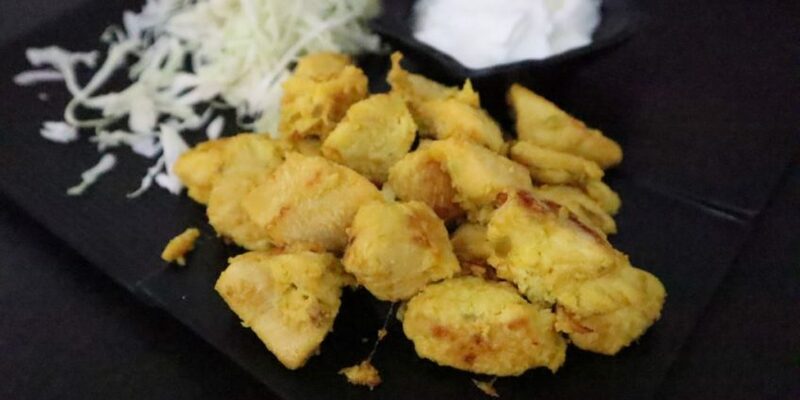 It is easy on the stomach & one of the healthiest tikka you have in the array of appetizers. A perfect starter to start dinner on a healthy note. When we made it home, we were astonished by the taste. I can say it is one of my favourite items after chicken lollipop. During Ramadan days, we all make many desserts that include saffron. It is magic spices that we have in our country. You can make n number of dishes. But with chicken, we tried it for the first time. The Saffron chicken tikka is very healthy for two main reasons. One is that the chicken here we used is a low-fat breast chicken cubes. And second, Saffron is very good for your mental health & as well as for your skin. 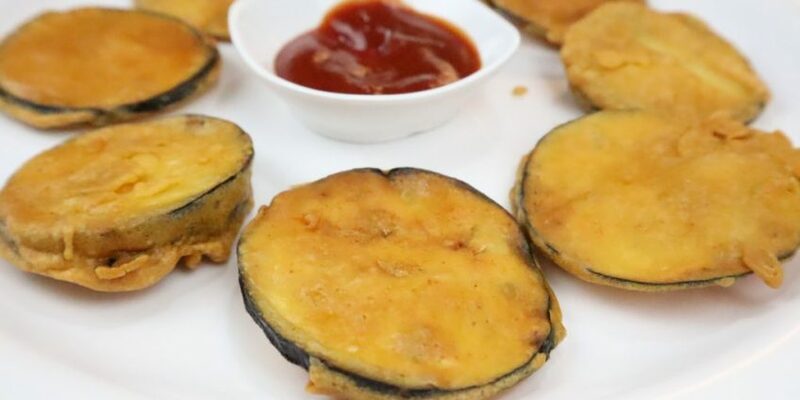 Make this mouth-watering & fusion recipe at home and let us know about your experience. Take a marination bowl. 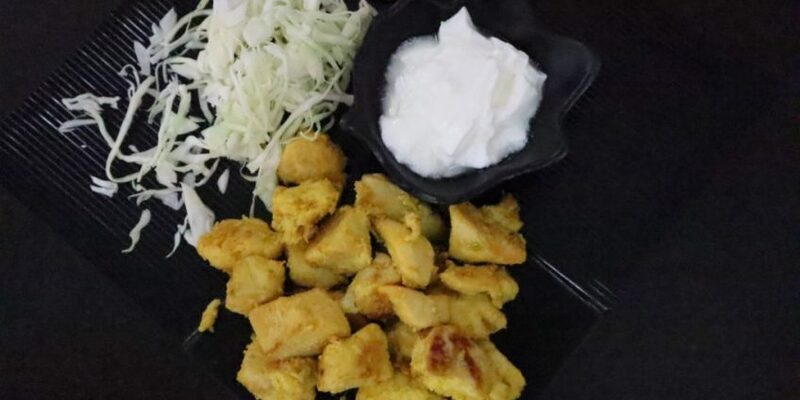 Add chicken breast cubes (1-2 inch), ginger garlic paste, green chilli paste, saffron soaked in water, yogurt, cream & oil. Mix well. Keep aside chicken to marinate for about 1 hour. Heat the oil in the pan. Add marinated chicken. Close the lead & cook for about 10 minutes. Soothing Saffron Chicken tikka is ready. 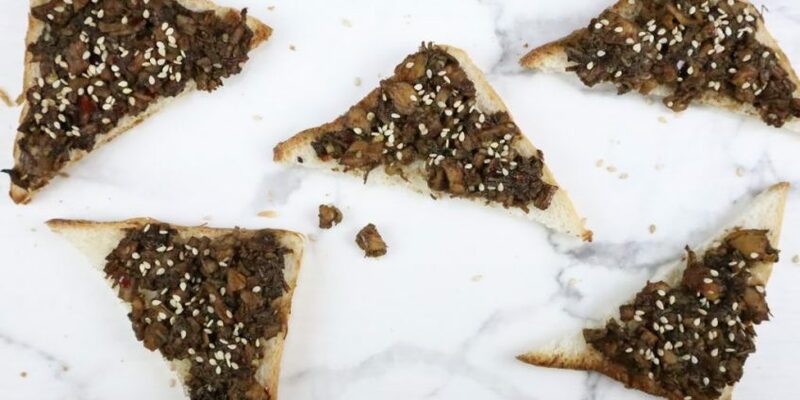 Serve it with salad & enjoy a new kind of taste with your loved ones.